We’d love to showcase your unique voice and expert opinion on how to inspire and empower mompreneurs everywhere to create a business and a life they truly love. 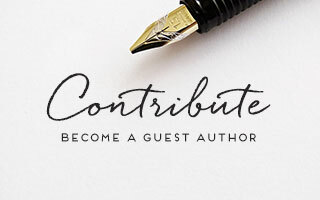 HERE’S EVERYTHING YOU NEED TO KNOW ABOUT BEING A CONTRIBUTOR. The Mogul Mom has a wide range of loyal readers from micro business owners, bloggers, inventors, artists and designers, service providers, coaches, virtual assistants, and authors. Above all else, we are a business oriented venue placing a strong emphasis on entrepreneurial information, support, and advice for mompreneurs. In an effort to deliver quality content and stay true to our mission, we’ve spelled out a specific set of guidelines below. Please be sure to read through everything before submitting your post. Posts that do not follow these guidelines will be rejected. *Note that we do not offer compensation for guest posts. Uncommon How-To/Tutorials (new or unique methodologies)We reserve the right to edit all articles to keep them within The Mogul Mom aesthetic. A final draft will be for your approval prior to publishing. Not sure if your topic idea is a good fit? Feel free to send your ideas to us via email before you start writing. Posts should be between 600-1200 words in length. The most popular articles are those with a friendly, conversational tone. Send us something value-packed. Your piece should be actionable and insightful. While the post doesn’t have to be ‘ground breaking’, it should not be ‘common knowledge’ or obvious. Encourage readers to reexamine what they know and allow them to consider things in a new light. You’re the expert, give us your unique spin! Within the body, share links to at least TWO Mogul Mom blog posts. You can find relevant posts in the archives right here. Double check it. We only accept guest posts that use correct spelling, grammar, and punctuation. Due to the number of submissions we receive, entries that require excessive editing cannot be accepted. The post you are submitting must be your own, 100% original content, exclusive to us. It should not be posted elsewhere (including on your own blog/website) before or after it appears on our site. Your article must be presented in a non-advertorial, non-promotional fashion. You are welcome to make mention of (and link to) your company, product, once within the body. *If you have interest in promoting your product or service to our body of thousands of readers, consider a sponsored post or one of our other advertising packages. You can pitch us your article using the form below. A member of our editorial team will get back to you (usually within 2-4 weeks) to let you know if your article has been accepted. Note: Our workload is heavy, so we ask that you please refrain from writing to us asking if your post is accepted. We WILL get back to you. Thanks for your interest. We look forward to seeing what you’ve got to say! Insert a link to your downloadable Word Doc here. Please ensure it has been edited, links are valid, and length is between 600-1200 words. Company or Business URL you'd like featured in the author bio. Upload your high resolution SQUARE headshot. Please make sure it's a square or it will risk being cropped.